The Department of Science and Technology and the Offshore Petroleum Association of South Africa have signed an agreement to exploit offshore oil and gas exploration. The SA Marine Research and Exploration Forum are being launched under the Department's Operation Phakisa initiative which has the potential to create one million jobs by 2033. 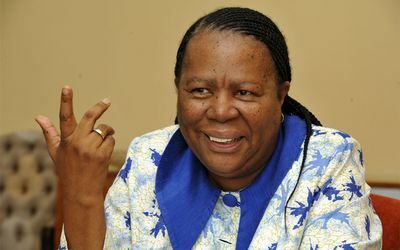 Science and Technology Minister, Naledi Pandor, says the agreement will allow government and the private sector to work closely together. “We trying to derive greater value in contribution to our economy through the ocean economy and investing in it, and out of that set of initiatives we've identified oil and gas exploration as an important component of the ocean economy,” says Pandor. Questions should be raised on how viable is the offshore oil economy exploration since the oil price has sunk to its lowest levels since 2004. Executives think it will be years before oil returns to $90 or $100 a barrel. The current oil price stands at $35 a barrel. It should also be questioned on which nations would buy oil since more countries seek to produce oil through fracking. Many could also point out that the South African government has been discussing the idea of fracking publicly since 2008 but nothing concrete has followed.